On September 5, 1774 the delegates from 12 British Colonies gathered and formed the First Colonial Continental Congress of the United Colonies of America. On July 2, 1776 the Second Colonial Continental Congress declared 12 British colonies as Free and Independent States thus becoming the US Continental Congress. On March 1, 1781 the Constitution of 1777 was ratified replacing the US Continental Congress with the United States in Congress Assembled. Notwithstanding New York’s July 9th approval, the passage of Lee’s Resolution and even John Adams ’ letter to Abigail declaring that “The Second Day of July 1776, will be the most memorable Epocha, in the History of America”,  July 4th has been heralded as the birthdate of the United States of America since 1777. Indeed, July 4th has remained sacrosanct despite the enactment of two distinctly different U.S. Constitutions in 1781 and again in 1789 that reformulated the United States’ federal government. 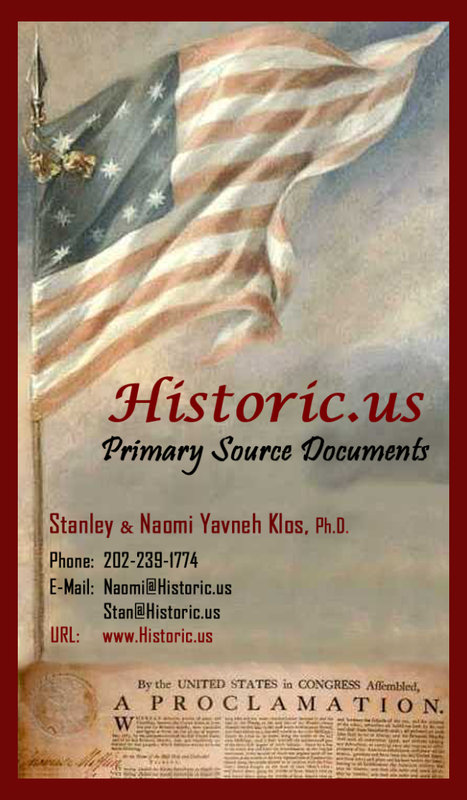 U.S. governmental authorities universally agree that the birth year of the current U.S. Republic is 1776 and not 1781 (when the Articles of Confederation was ratified), or 1784 (when the Treaty of Paris was ratified ending the war with Great Britain ), or September 17, 1787 (when the Philadelphia Convention produced the current U.S. Constitution), or March 4, 1789, when the current tripartite system began to govern the United States of America. It is remarkable, however, that, while July 4th, 1776, stands as the nation’s birth date John Hancock , the DOI ’s presidential signer, is passed over by the same governmental authorities as the first U.S. Head of State . Similarly, Samuel Huntington, the first President under the Articles of Confederation, is also passed over as President of the United States in America in Congress Assembled. In contrast, these same officials recognize Benjamin Franklin as the first Postmaster General who served not under the current U.S. Constitution but under the colonial resolution known as the Articles of Association from July 26, 1775 to November 10, 1776. Setting these inconsistencies aside, the question that is most pertinent to this chapter remains: Why does the U.S. Government, since 1777, celebrate the 4th of July as Independence Day and not the 2nd of July? When the twelve United Colonies of America declared their independence on July 2nd the Declaration of Independence (DOI ) was already before the Colonial Continental Congress for its consideration. The first draft was read before the delegates on Friday June 28, 1776, and then ordered to lie on the table over the weekend for their review. On Monday, July 1st, the DOI was read again to the “Committee of the Whole.” The DOI was debated along with the much shorter Lee Resolution. The 12 Colonies, whose members were empowered to declare independence, were unable to garner the necessary 12 delegation votes to make the measure unanimous. Accordingly, it was decided to postpone the vote on independence until the following day, July 2nd, and the 12 colonial delegations passed the Lee’s Resolution declaring their independence from Great Britain . The DOI , however, was quite another matter; Committee of the Whole Chairman Benjamin Harrison requested more time and the members agreed to continue deliberations following day. … that an application be made to the committee of safety of Pennsylvania for a supply of flints for the troops at New York : and that the colony of Maryland and Delaware be requested to embody their militia for the flying camp, with all expedition, and to march them, without delay, to the city of Philadelphia . 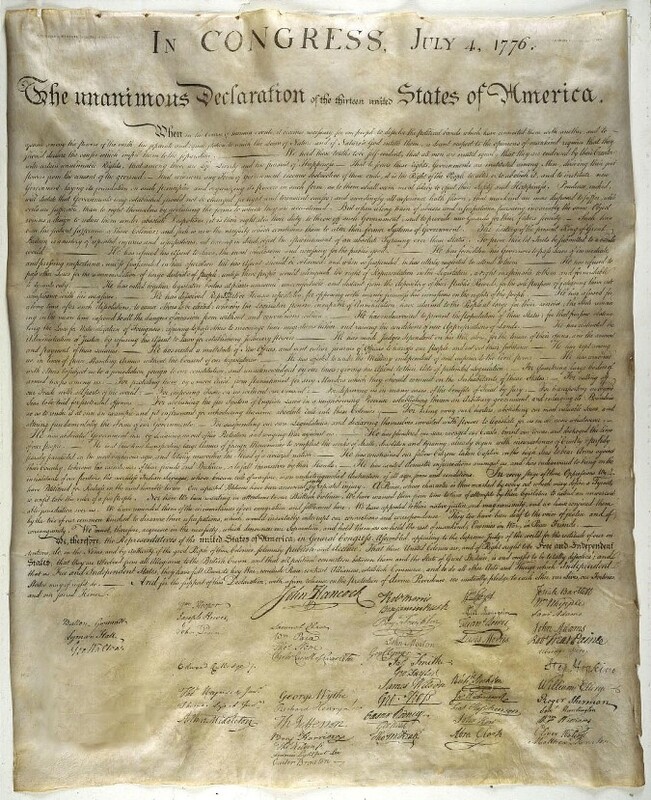 The Declaration of Independence proclaimed why “… these United Colonies are, and, of right, ought to be, Free and Independent States …”  and its content served to justify the Colonial Continental Congress July 2nd vote declaring independence. It was the rhetoric in the DOI and not Lee’s Resolution that exacted the vote for independence on July 2nd, 1776, from the 12 state delegations. Moreover, the July 4th, 1776, resolution included naming the Second United American Republic which was not incorporated in Lee’s Resolution. It is also important to note that the name, United States of America, was not utilized on any of the Continental Congress resolutions or bills passed after Lee’s Resolution on July 2nd up until the passage of the DOI on July 4th, 1776. 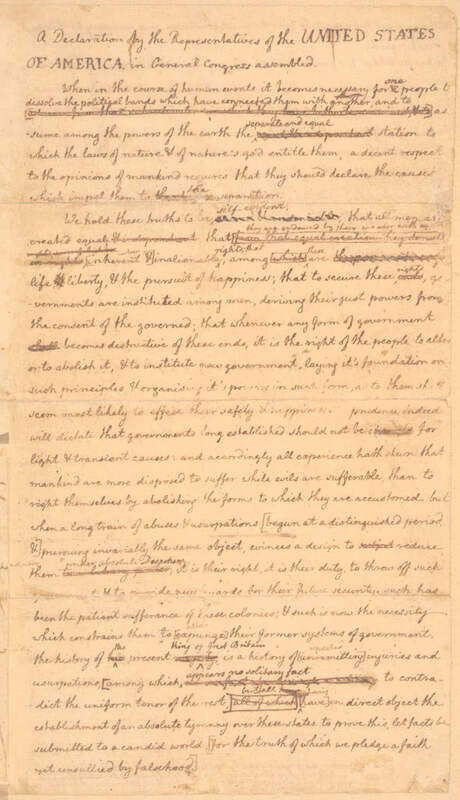 It is true that in Thomas Jefferson’s DOI drafts, the word “States” was substituted for “Colonies” in the stile, or name, “United Colonies of America .” It is also true that Jefferson’s substitution was in accordance with Lee’s Resolution that asserted the “United Colonies” were to be “free and independent States.” The new republic was not named the “United States,” however, until the Declaration of Independence ’s adoption on July 4, 1776. 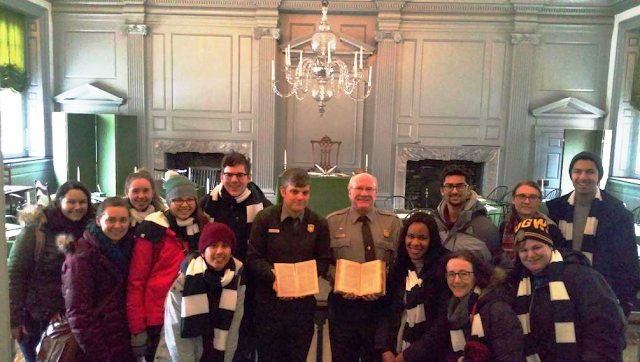 The naming of this new republic was no small matter, and the topic would be addressed again in later deliberations on the Articles of Confederation and the current U.S. Constitution. As noted earlier, the 1775 Articles of Confederation and Declaration for Taking up Arms initially named the First United American Republic the United Colonies of North America . The name was only shortened by the Continental Congress to the United Colonies of America in 1776. We must, therefore, pay heed to the fact that the nation’s name was adopted on July 4th, 1776, with the passage of the Declaration of Independence and not on July 2nd with the enactment of Lee’s Resolution . This circumstance, coupled with the nearly completed Declaration of Independence being laid before the members on June 28th and present during the July 2nd vote, explicates why the 4th and not the 2nd was designated Independence Day by the Continental Congress and was accepted as such by the then future congresses of the United States of America. Nevertheless, for the purposes of establishing the start of the Second United American Republic, we must be more precise in our determination. The United Colonies of America severed their allegiance to Great Britain on July 2nd, 1776. 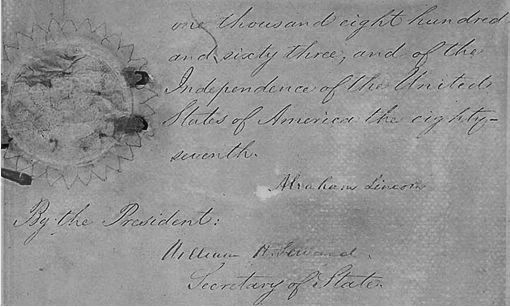 The new independent republic of free and independent states enacted resolutions  on the Second, Third, and Fourth of July before passing the Declaration of Independence . This Assembly, just like Carpenters’ Hall ’s unnamed Congress,  formed a United American Republic by enacting bills, resolutions and other legislation on behalf of their now independent states. 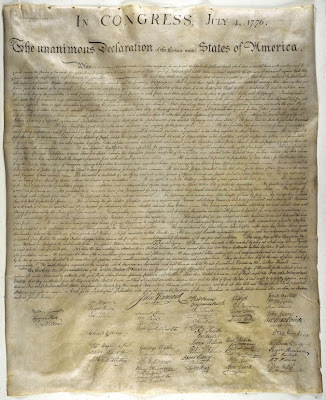 July 2nd, 1776, therefore, marks the end of the United Colonies of America and the beginning of the Second United American Republic: The United States of America, Thirteen Independent States United in Congress. Having established the starting point for the Second United American Republic, we – like the Continental Congress – should turn to a consideration of that Republic’s governance. As we shall see, the process of articulating the document that became the “Articles of Confederation ” was not simple. Moreover, although this first constitution of the United States of America was passed by the Continental Congress on November 15th, 1777, the Articles required unanimous ratification. 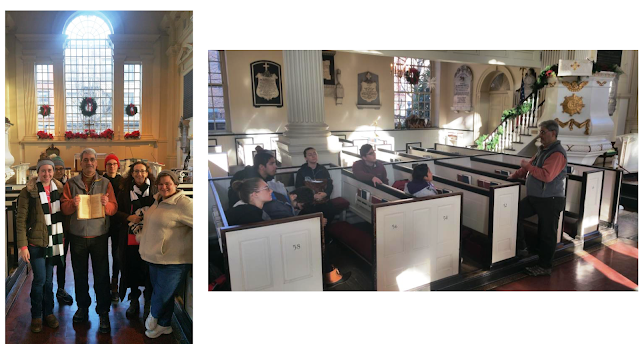 For three years the Continental Congress would govern under a body of laws that were co-mingled with the future laws in the Articles of Confederation. 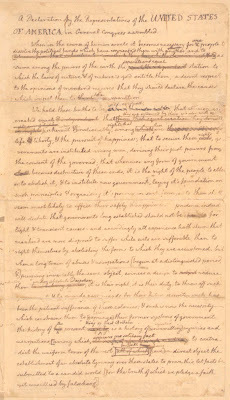 That eighty copies, and no more, of the confederation, as brought in by the committee, be immediately printed, and deposited with the secretary, who shall deliver one copy to each member: That a committee be appointed to superintend the press, who shall take care that the foregoing resolution [Articles of Confederation ]. Hereinafter referred to as the Lee’s Resolution. On July 9th, 1776 the New York Provincial Congress assembled in the White Plains Court House and adopted the July 4, 1776 resolution heartedly supported by John Jay who had rushed from New York City to address that body: “That reasons assigned by the Continental Congress for declaring The United Colonies Free and Independent States are cogent and conclusive, and that now we approve the same, and will at the risque of our lives and fortunes, join with the other colonies in supporting it.” - New York Provincial Congress, Resolution supporting the Declaration of Independence , July 9, 1776. John Hanson, “United States in Congress Assembled Proclamation. “The Freeman’s Journal, October 16, 1782, Number LXXVII, p. 3. 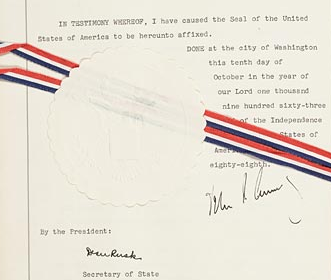 In the first three United American Republics, the signature of U.C. and U.S. Presidents are not required to enact any Congressional legislation. These founding presidents, unlike the current U.S. Presidents, had one vote in their respective state delegations in the “one state one vote” unicameral congressional system. In the Fourth American Republic , Article I of the Current U.S. Constitution requires every bill, order, resolution or other act of legislation by the Congress of the United States to be presented to the U.S. President for his approval. The President can either sign it into law, return the bill to the originating house of Congress with his objections to the bill (a veto), or neither sign nor return it to Congress. If he does the latter and Congress remains in session for ten days exempting Sundays, the bill becomes law. If during those ten days Congress adjourns than the bill does not become a law. Emancipation Proclamation , January 1, 1863, Original Manuscript, The Charters of Freedom, US National Archives and Records Administration. A Committee of the Whole is a device in which a legislative body or other deliberative assembly is considered one large committee. After the passage of Lee's resolution the Continental Congress enacted that "In obedience to their order, Captain Whipple and Captain Saltonstal were come to Philadelphia ; Whereupon, Resolved, That the Marine Committee be directed to enquire into the complaints exhibited against them, and report to Congress." On the third of July seven different resolutions were passed, and finally on the Fourth of July they “Resolved, That an application be made to the committee of safety of Pennsylvania for a supply of flints for the troops at New York : and that the colony of Maryland and Delaware be requested to embody their militia for the flying camp, with all expedition, and to march them, without delay, to the city of Philadelphia.” All were enacted before the Declaration of Independence was adopted. Journals of the Continental Congress, July 2-4, 1776. JCC, 1774-1789, Wednesday June 12, 1776.